After last summer’s Cars 2, Pixar found themselves in a position they’d never been in before: they were vulnerable. Cars 2 was a naked cash grab, their first poorly received film, and the sequel didn’t even match the numbers of the first entry when it came to merchandise and box office. Pixar stumbled, and anyone with even the slightest bit of envy sensed the blood in the water and came rushing, eager to bite the studio as it thrashed about. So Pixar was the underdog this year, and they bounced back as best they could with Brave. The film doesn’t reach the heights of The Incredibles, Finding Nemo, or Up, but it certainly comes close. It would be wrong to dock Brave for being merely great when it could have been fantastic, so I will resist that urge. In all honestly, a B+ from Pixar is at least an A- from anyone else. 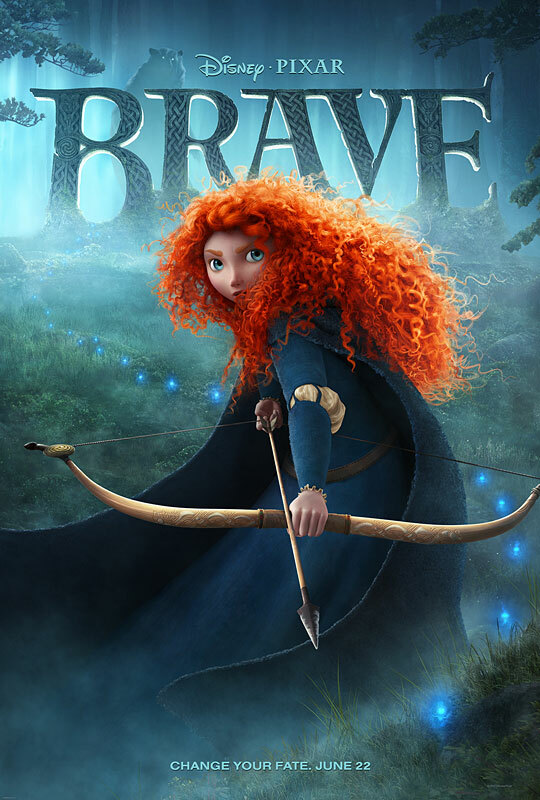 Brave is the first Pixar effort to play in Disney’s wheelhouse: the animated fairy tale. They acquit themselves well, and most of that credit should go to co-director and writer Brenda Chapman. Chapman has been working in the field of animation for decades, working for both Disney and DreamWorks, directing The Prince of Egypt and writing The Lion King and Beauty and the Beast. All of those films deal with epic settings and intimate character moments, and Brave is no different. Chapman blends the story of a mother and daughter at odds into the Scottish folklore as if it had always belonged there, and these are the film’s strongest assets. The extensive slapstick comedy, however, is not. The film often employs a sense of physical comedy that harkens back to the Tex Avery and Chuck Jones shorts. There are a few moments where these bits work, but often Brave gets dangerously close to slipping in territory occupied by early DreamWorks films, and the juxtaposition with Chapman’s story simply doesn’t work. The one film in the Pixar cannon most similar to Brave is their sophomore effort A Bug’s Life. Both have a sprawling epic feel with multiple characters, and at times both films have trouble making sure everyone gets their moment in the sun. While it’s true that some characters are shortchanged in Brave, the ambition on display is admirable. The BluRay disc is loaded with special features, giving a look at how Brave came to be that is much more piercing than previous Pixar films. You can tell all involved with Brave are incredibly proud of their efforts, and they should be. Brave is another worthy edition to the Pixar library. I look forward to what they’ve got coming next. Brave hits BluRay and DVD tomorrow, Tuesday, November 13th. You can pre-order a copy right here. “Brave” Hits DVD And BluRay On November 13th! Comments for BluRay Review: Pixar Bounces Back With “Brave” are now closed.